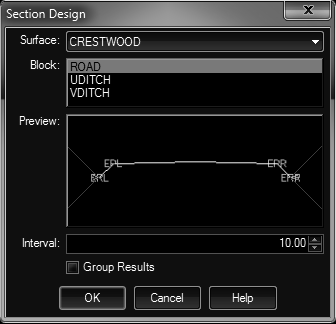 Design 3D features such as roadways & ditches using section templates. Simply draw your section in a block definition and this tool will project it along your path object to form a 3D geometry model. Edge rays are automatically trimmed at the intersection of the surface.